NACTOY 2007 North American Truck of the Year. Only 104,709 Miles! 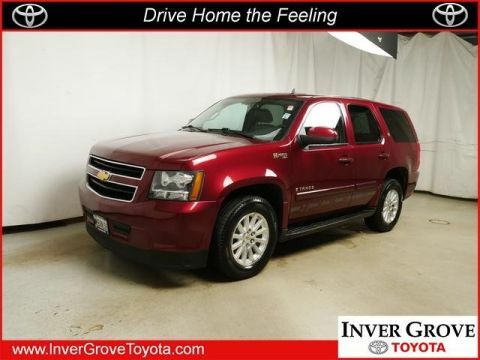 Delivers 19 Highway MPG and 15 City MPG! This Chevrolet Silverado 1500 Classic delivers a Gas V8 4.8L/293 engine powering this Automatic transmission. WHEELS, 4-17 X 7.5 (43.2 CM X 19.1 CM) 6-LUG CHROME-STYLED STEEL, includes chrome center caps and steel spare (STD), TRANSMISSION, 4-SPEED AUTOMATIC, ELECTRONICALLY CONTROLLED WITH OVERDRIVE AND TOW/HAUL MODE (STD), TRAILERING EQUIPMENT, HEAVY-DUTY, includes trailering hitch platform, 7-wire harness (harness includes wires for: park lamps, backup lamps, right turn, left turn, electric brake lead, battery and ground) with independent fused trailering circuits mated to a 7-way sealed connector, instrument panel jumper wiring harness for electric trailer brake controller, and 1-way sealed connector for center high-mounted stop/brake lamp, (K47) high-capacity air cleaner and (KNP) external transmission oil cooler. * This Chevrolet Silverado 1500 Classic Features the Following Options *CHROME EXTERIOR PACKAGE, includes chrome door handles and chrome-capped exterior mirrors, AIR CLEANER, HIGH-CAPACITY (Included with (Z82) heavy-duty trailering equipment or (VYU) Snow Plow Prep Package.) , TIRES, P265/70R17 ON-/OFF-ROAD, BLACKWALL, includes an on-/off-road blackwall spare (STD), SEATS, FRONT 40/20/40 SPLIT-BENCH, 3-PASSENGER, DRIVER AND FRONT PASSENGER MANUAL RECLINING, center fold-down armrest with storage, adjustable outboard head restraints and storage pockets on Extended and Crew Cab models (STD), SEAT TRIM, CUSTOM CLOTH (STD), REAR AXLE, 3.73 RATIO (STD), PAINT, SOLID (STD), LS PREFERRED EQUIPMENT GROUP Includes Standard Equipment, GLASS, SOLAR-RAY DEEP TINTED (all windows except light-tinted glass on windshield and driver-and front passenger-side glass) (With Extended Cab models, includes rear window and rear quarter windows. 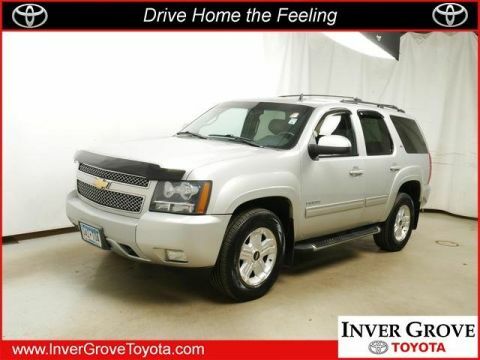 With Crew Cab models or (C49) rear-window defogger, includes light-tinted rear window), ENGINE, VORTEC 4.8L V8 SFI (285 hp [212.3 kW] @ 5200 rpm, 295 lb-ft of torque [398.2 N-m] @ 4000 rpm) (STD). * Expert Reviews! *As reported by KBB.com: If you need a serious work truck that can haul loads of dirt or tow a horse trailer, there is a Silverado Classic with your name on it. 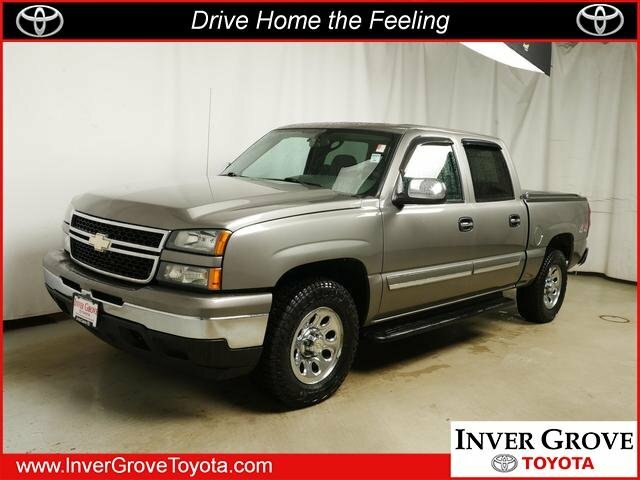 The Silverado Classic's interior can be quite plush, but the price starts to climb when it's so equipped. 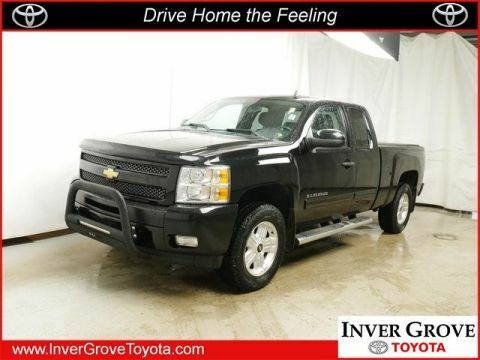 * Visit Us Today *A short visit to Inver Grove Toyota Scion located at 1037 Highway 110, Inver Grove Hts, MN 55077 can get you a dependable Silverado 1500 Classic today!